One of the favorite themes for birthday parties, are the characters of Toy Story films, whether you prefer the small set of characters or one in particular, cakes for children's parties with this issue have become one of the most interesting options in the decoration birthday's party of our beloved children. 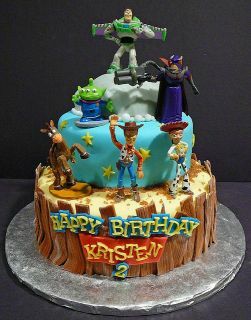 Thinking about this is here are some of the most interesting models of Toy Story cake. 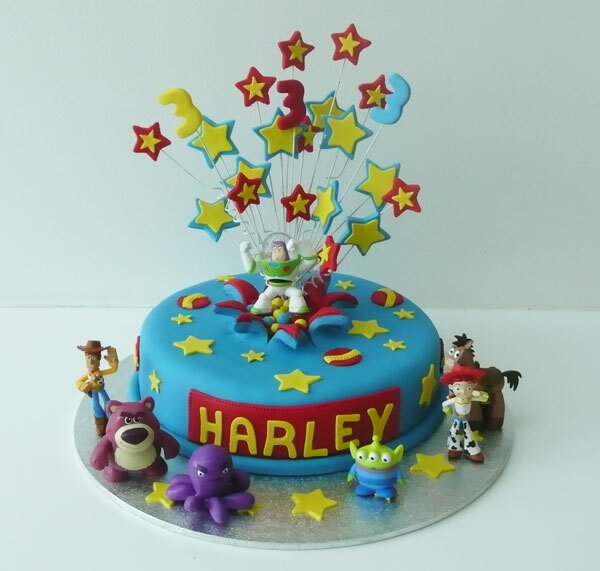 In this first model, it has some of the most important toys film, but if you prefer, you can put only one, the favorite of your little one. 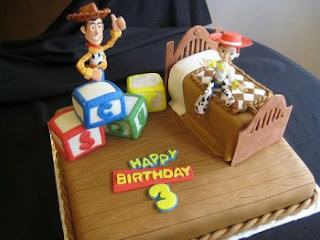 This second model recreates Andy's room, the owner of the toys, the cake itself represents the cutting room floor. 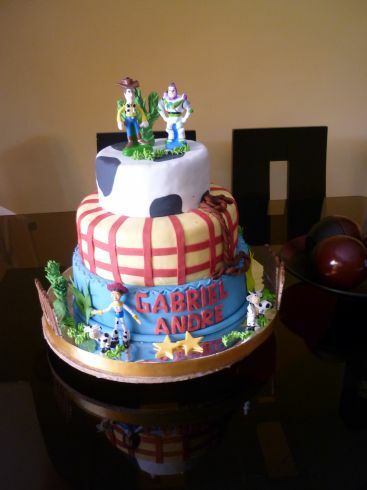 This model is a three-story whose main characters Woody, Buzz and cowgirl, if you want each of the cakes can be of a different flavor, so that in this way is even more colorful presentation to be served. 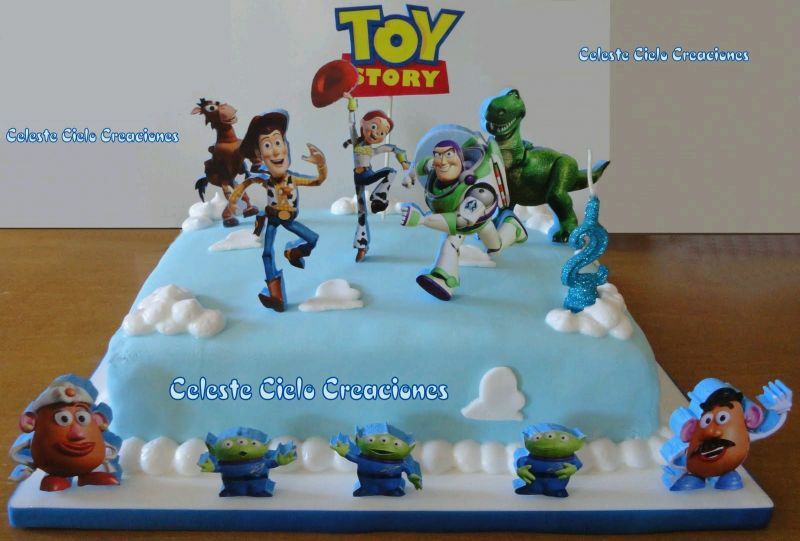 If you do not need a big cake but prefer something simpler and nice, this is the model shown case, remember that the principal toy is in the middle of the cake to simulate coming out of it. 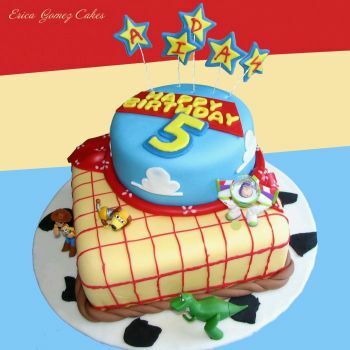 This is a small variation of the above, it is a double-decker cake, the first is a square cake decorated as Woody's shirt, while on the second floor there is a small round cake bearing the phrase happy birthday and the child's name in the stars. Another cake of a single floor, in this particular case, the toys are not made of ceramic but cardboard. 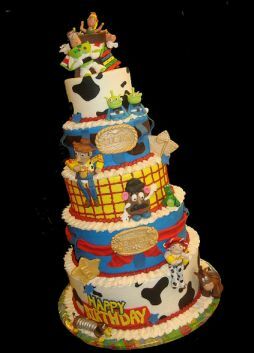 The following is a beautiful two-story cake while the third level holds a star that marks the child years old. 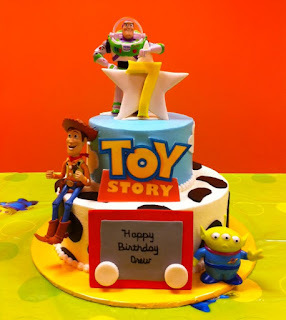 Finally, if you plan to have lots of guests, go ahead and make this 5 levels cake that also gives you the opportunity to put all the toys used in the film. 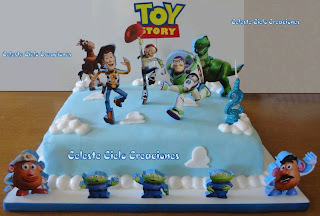 I've made one of the cakes featured here. 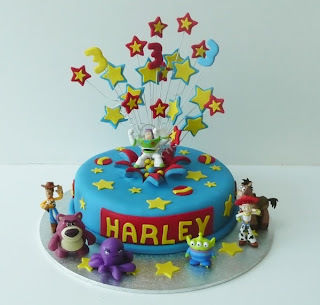 I have no problems with the photo being used on this blog but would prefer to be asked or at the very least acknowledged for the use of the photo.